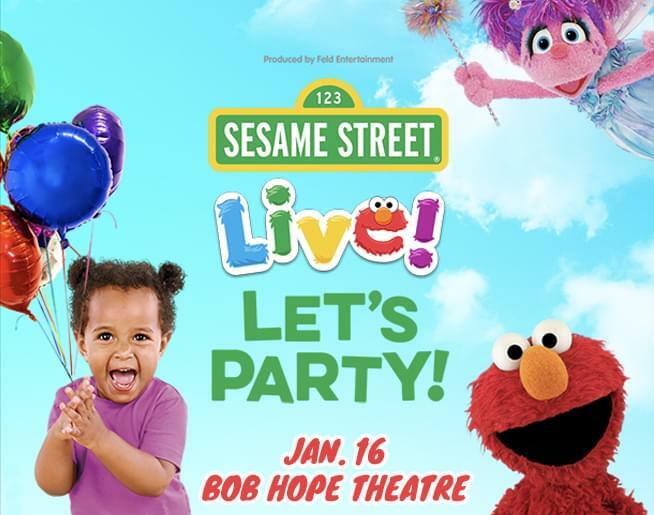 Sesame Street Live: LET’S PARTY! Jump to the beat with your friends on Sesame Street! Join the fun with an interactive show that unfolds on one of the world’s most famous streets at the funniest, furriest party in the neighborhood… get ready for Sesame Street Live! Let’s Party! Learn new songs and sing along to familiar favorites with Oscar and Cookie Monster; build a snowman with Elmo; flap your wings with Big Bird; marvel at Abby’s magic; be amazed when Super Grover flies; and move to the rhythm with Rosita. Anything’s possible when everyone who shares something in common gets together. Kick your feet to the beat at Sesame Street Live! Let’s Party! JANUARY 16 AT THE BOB HOPE THEATRE IN STOCKTON!